Coarse Wavelength Division Multiplexing (CWDM) is an optical multiplexing technology used for increasing the bandwidth of fiber. It works by combining optical signals of different wavelengths on one strand of fiber. Usually, CWDM is able to transport up to 18 wavelengths with a channel spacing of 20 nm in the spectrum grid from 1270 nm to 1610 nm. It is typically deployed in point-to-point topology in enterprise networks and telecom access networks. CWDM can be divided into passive CWDM and active CWDM. This article will detail these two CWDM solutions. The passive CWDM is an implementation of CWDM that uses no electrical power. It separates the wavelengths using passive optical components such as bandpass filters and prisms. CWDM Mux/Demux is the most commonly used device in the passive CWDM system. It can be applied in many fields, including Gigabit Ethernet, SDH, ATM, servers, SAN, and TDM. Actually, most CWDM devices are passive and more and more manufacturers are promoting passive CWDM to deploy fiber to the home now. The active CWDM network is built from transponders and muxponders. It utilizes a dedicated transport platform that offers many functions such as signal monitoring, regeneration, and demarcation. Active CWDM solution is able to connect fast Ethernet switches, ATM switches, gigabit routers and others. It is usually applied for the communications operators and large customers to optimize or reform the network. And now it is also an ideal choice for the growing metropolitan area network. Both passive CWDM and active CWDM have their own pros and cons. Easy installation – Passive CWDM installation is very simple. It is plug and play. Independence – Passive CWDM is full independence from transmission speed and transmission protocols such as 1GbE or 1G FC. Even though passive CWDM has the two main benefits, it still has the drawback. Uneasy management – Due to the development of network, passive backbone networks grow as well that CWDM optics may disperse in several different layer-2 switches, routers and ADMs at different physical locations or departments of organization. This results in difficult maintenance and management. Expensive – The requirement of passive CWDM solution that uses venspecific optics such as optical module is often very expensive. Lots of limitations – Passive CWDM is only effective in point-to-point topology. It also has limited link power budget and distance. Moreover, passive CWDM has limited optical performance monitoring and fault isolation, which will increase MTTR. Cost savings – Active CWDM uses standard inexpensive cost optics and low vendor specific colored optics. What’s more, it uses muxponder capabilities (mapping multiple services over a single wavelength), which enables better spectral efficiency of the backbone network infrastructure. This significantly reduces the cost. In addition, active CWDM infrastructure enables organizations to provide managed services with SLA to its partners and customers and to generate revenue from its network infrastructure. This helps active CWDM organizations reduce operational costs. Easier management – Due to fewer wavelengths are used between the backbone sites, active CWDM is easy for network management. More flexibility – Unlike the passive CWDM, active CWDM is not limited by the network topology and distances between the sites. Besides, active CWDM allows for flexible add or drop capabilities as well as traffic regeneration at different points across the backbone infrastructure. Complex configuration – There are many more components in active builds. For instance, active CWDM usually needs transponders, which can help reach longer distance. After the comparison of passive CWDM vs active CWDM, we can see that each one has its advantages and disadvantages. Which to deploy depends on the actual needs. Hope what we discussed in the article could help make an informed decision. If you want to know more details, welcome to visit FS.COM. Driven by the rapid development of mobile communication industry, 5G network has boomed. 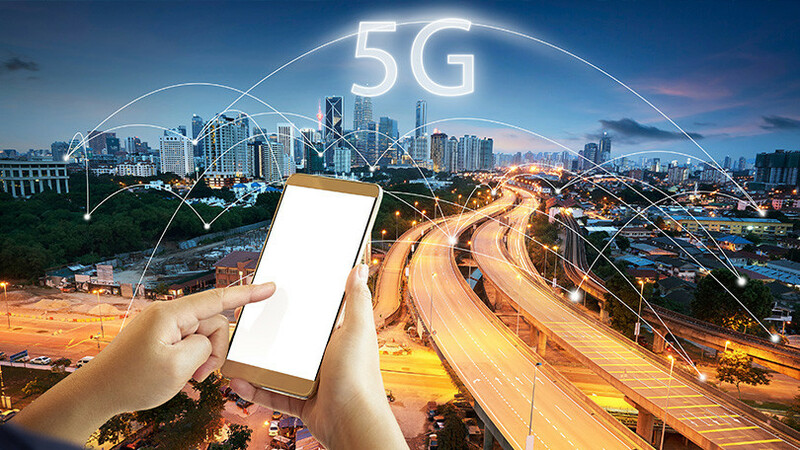 However, 5G also faces some challenges such as the higher transmission bandwidth requirement. How to solve these problems? The WDM-PON network may be a better solution. This post will explain the advantages of WDM-PON technology and how it helps the 5G deployment. As it’s known to all, WDM-PON (Wavelength Division Multiplexing-Passive Optical Network) combines WDM technology with PON topology structure that allows operators to deliver high bandwidth to multiple endpoints over long distances. It includes some technologies, including colorless ONU technology, Auxiliary Management and Control Channel (AMCC), optical modules, OAM, and protection switching. With these key technologies, WDM-PON is regarded as an ideal solution which can meet the 5G requirements and has attracted great attention nowadays. 5G stands for the fifth generation of the wireless mobile network. It will be built on the foundation created by 4G LTE to allow people to send texts, make calls, and browse the web, etc. These upgraded 5G performance targets contain higher data rate, energy saving, higher-quality and massive device connectivity. Why Choose WDM-PON for 5G Deployment? As mentioned above, WDM-PON owns some useful technologies, which have unique advantages in 5G applications, including high bandwidth, low latency, low costs, fiber savings, easy maintenance, etc. The following will focus on introducing some of its merits. The WDM-PON technology allows for traffic separation within the same physical fiber by different wavelengths. This results in a network that provides logical point-to-point connections over physical point-to-multipoint network topology. Moreover, AMCC signal modulation helps stack a management channel onto each wavelength. Therefore, the solution for carrying 5G front-haul over WDM-PON can offer a dedicated wavelength and extensive bandwidth resources to each user, saves time and increases transmission efficiency. Having AMCC technology to deploy 5G, there is no need to use frame processing or dynamic bandwidth allocation (DBA) scheduling. This architecture provides low latency, low-frequency jitter, and flexible configuration of different front-haul interfaces. With PON topology, it reduces the number of fiber needed by 5G front-haul networks with high site densities. The existing fiber infrastructure and equipment room are utilized, which saves the deployment and maintenance costs. What’s more, WDM-PON carries out an integrated front-haul/middle-haul (XHaul) transport network with the OLT. This OLT platform and the DU pool can be deployed in the same equipment room, which reduces the equipment construction costs. In addition, using the colorless technology of ONU in WDM-PON system results in low costs. Unlike the 4G which has the BBU and RRU two-level architectures, the 5G is constructed as three entities: CU (Centralized Unit), DU (Distribute Unit) and AAU (Active Antenna Unit). And 5G has three application scenario, including front-haul, middle-haul, and back-haul transmission. In the 5G Front-haul network, WDM-PON can be an efficient solution. The following figure 1 shows the architecture of WDM-PON 5G front-haul network. Several RRUs and a DU are connected through a WDM-PON point-to-multipoint topology. The WDM-PON OLT is connected to the DU, CU, and ONU. ONU is also connected to RRUs. This OLT platform carries the front-haul traffic between the DU and RRUs as well as the middle-haul traffic between the DU and CU. In terms of the front-haul transmission or the connection between RRUs and DU, WDM-PON transmission interfaces play a significant role that enables the transparent user data transmission between them. In addition, the solution of applying WDM-PON to carry 5G is especially suitable for those operators who have to provide both wireless and wireline services in a greenfield scenario. As boasting these advantages such as high capacity, low latency, cost-saving, etc., WDM-PON network is considered as an important solution for 5G. And the use of WDM-PON technology would become very common. To pave the way for the upcoming 5G network, FS is striving to be the innovator in 5G communication. In fact, FS has developed optical transceiver modules for WDM-PON network such as DWDM SFP+. If you have any needs, welcome to visit FS.COM. The rapid expanding of data centers spurs the demand for higher speeds, greater scalability, and higher levels of performance over the network, and the demand is not gonna slack. Thus the Ethernet speed upgrade has become a hot topic. The past decades have witnessed the Ethernet speed transitions from 1G,10/25G to 40/100G. And the Ethernet industry continues to innovate to higher networking speeds like 200G and 400G. Well, is 400G Ethernet far in the future? The answer is “no”. This article will share some information about 400G Ethernet. 400G Ethernet, or 400 Gigabit Ethernet (400GbE), is developed by IEEE P802.3bs Task Force in 2017. It uses broadly similar technology to 100 Gigabit Ethernet. However, 400G is not only four times as fast as 100GbE, but also provides a better economy of scale and a denser configuration. In addition, the new 400G products usually adopt 8 x 50G serial links, which are based on the latest PAM-4 module technology. Currently, 100G is the fastest Ethernet connections in broad adoption, which is growing steadily. However, with the continued boom in traffic, and the demand by video and other high-capacity data transfers, 400G Ethernet is an inevitable trend in data centers. In terms of 400G transceiver module market, its driving forces relate primarily to the implementation of networks within the mega data centers and the interconnects between the data centers. It was reported that there were over 10 companies have demonstrated the 400G transceivers in OFC 2018. And these companies have planned to deploy 400G transceivers in data centers and Telecom in the end of this year. In addition, according to GLOBE NEWSWIRE, the global 400G transceiver market is expected to be at $22.6 billion in 2023. In fact, some optical components for 400G Ethernet solutions have already been put into use such as 400G transceiver module, 400G Ethernet switch. What’s more, more and more vendors today join in the 400G Ethernet race, including Cisco, Juniper, Arista, Huawei, etc. 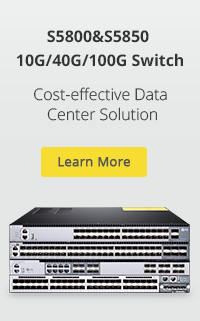 When it comes to 400G switches, Cisco is the leader in this field. It started shipping its new 400G switches in the end of 2018. Arista, Juniper, and other vendors come on the heels of Cisco. The race will be fiercer this year. Except for 400G optical transceivers and 400G switches, other 400G components like 400G WDM, 400G AOC/DOC cables, etc. are on the way. What’s New in Today’s 400G Optics Market? Though 400G optics are not the mainstream in the market, there are more and more new 400G devices. The following will introduce some 400G optical transceivers and 400G switches in the market. We know that the QSFP28 modules are for 100G Ethernet and SFP28 modules are for 25G Ethernet. Well, there are some transceiver modules for 400G Ethernet, including CFP8, QSFP-DD, OSFP, and COBO. 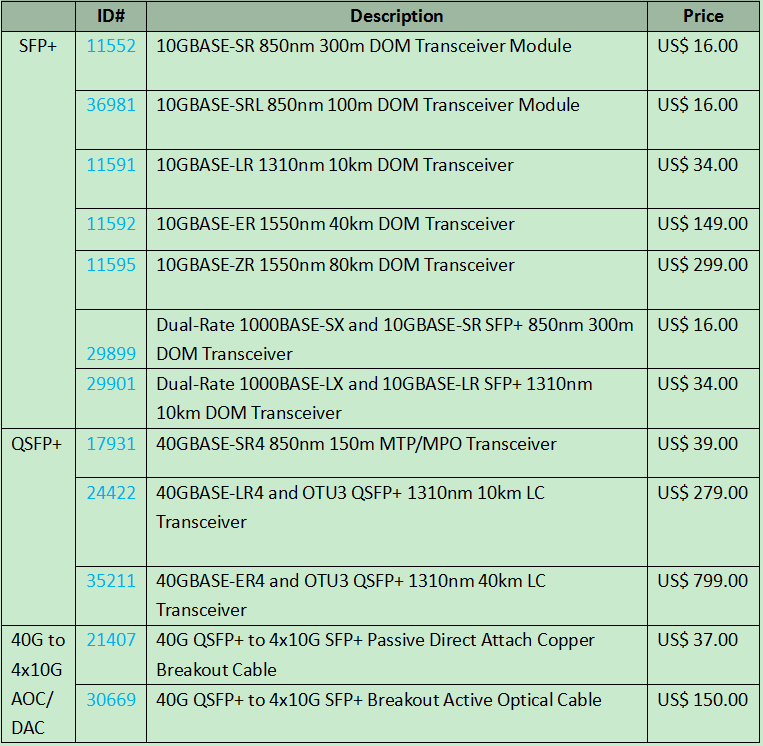 The following are some popular 400G transceivers in the market. 400G CFP8 is the first-generation optical transceiver for 400G Ethernet applications. It usually allows for 16 x 25 Gb/s and 8 x 50 Gb/s mode, featuring a transmission length up to 10km. QSFP-DD (Double Density QSFP) uses eight 25G lanes via NRZ modulation or eight 50G lanes via PAM4 modulation. What’s more, 400G QSFP-DD is able to backward compatible with QSFP modules that offers flexibility for end users and system designers. OSFP means Octal Small Form Factor Pluggable. It has eight 50G lanes to support 400G like QSFP-DD but slightly wider and deeper than the QSFP module. Unlike the above mentioned 400G transceivers, COBO (Consortium for On-Board Optics) is installed internally to the line-card equipment in a controlled environment. It is short of flexibility, but offers better power efficiency and higher port density. Therefore, COBO is regarded as the next-generation transceiver for 800G or beyond. Nowadays, some 400G switches have already been put into use. For instance, 400G Nexus from Cisco, 7060X4 Series from Arista, Spectrum-2 from Mellanox, etc. Cisco 400G switches contain 16-port Nexus 9316D-GX, 8-port Nexus 93600CD-GX, 4 RU Nexus 3408-S, and 32-port Nexus 3432D-S. These four Ethernet switches come with high-speed, high-performance, automation, visibility, assurance, and security functions to meet different architectural needs. In addition, Arista 7060X4 Series and Mellanox Spectrum-2 are also optimized for 400G Ethernet with developed features. With the development of the network, 400G Ethernet will finally be the next major Ethernet speed for data centers, though there are still some challenges to overcome now, such as low power consumption and lower cost per bit. FS always keeps up with technology trends and provides reliable and cost-effective solutions. Now FS is planning to launch 400G Ethernet devices like 400G transceiver module. For more information, please visit www.fs.com. Driven by the boosting global data traffic, data center networks need better scalability, instant bandwidth provisioning, and application agility. Well, 25G is able to provide low-cost and high-efficiency for today’s network. Therefore, many suppliers provide various 25G devices such as 25G SFP28 for 25G network deployment. Well, how to build 25G network and what do you really need for its deployment? This post will offer you some clues. 25G Ethernet, or 25 Gigabit Ethernet (25GbE), is developed by IEEE 802.3 Task Force P802.3by. The IEEE 802.3by standard uses technology defined for 100 Gigabit Ethernet implemented as four 25 Gbps lanes (IEEE 802.3bj). Actually, 40G and 100G have already existed before the emergence of 25G. However, 25G Ethernet can provide a more convenient path to Ethernet speeds of 50G, 100G and beyond. With 25G, network operators are no longer to use 40G Ethernet (using four lanes of 10G) to migrate to 100G, but using 4 lanes of 25G. For more information about 25G network upgrade, read this article: 10G-25G-100G Network Upgrade: An Inevitable Roadmap for Future Data Centers. 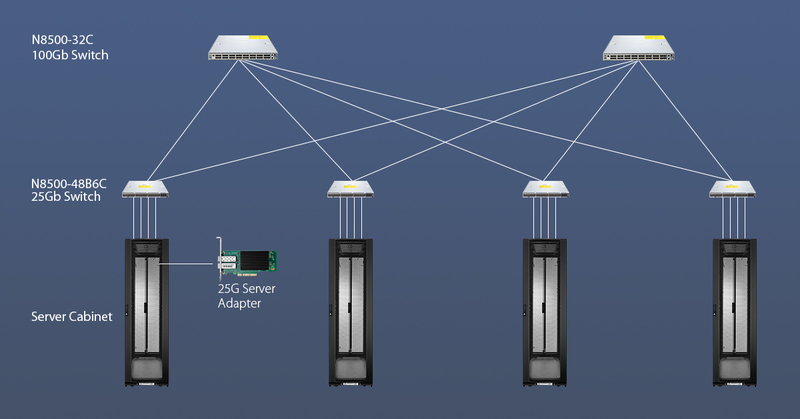 What Do You Need for 25G Network Deployment? To build a 25G network, several components are indispensable: 25G SFP28 transceiver, DAC/AOC cable, 25G adapter, and 25G Ethernet switch. Here will introduce a series of 25G products to guide your purchase. The 25GbE switch is one of the most important 25G devices and the most popular type of 25GbE switch is the 25G 48-port switch. Nowadays, there is a variety of 25G switches from different suppliers in the market like Cisco, Juniper, and Mellanox. The following figure shows some 25GbE switches with 100G uplinks. 25G server adapter, also called 25G network interface card (NIC), is a printed circuit board that provides network communication capabilities. It is commonly used as a separate adapter card, which can be inserted into the server’s motherboard expansion slot. Usually, the NIC is built with an interface in the side plate. Some NICs such as FS NIC even have two or more network interface. As the 40G network card is costly and too large for the server, 25G NIC is definitely a proper one for today’s network. SFP28 is designed for 25G signal transmission. It usually contains SFP-25G-SR, SFP-25G-LR and CWDM SFP28. The SFP-25G-SR is used for short distance transmission (up to 100m over MMF). While the SFP-25G-LR and CWDM SFP28 are applied for long distance transmission (up to 10 km over SMF). You can choose an appropriate one based on your need. For interconnections in Ethernet switches, applying 25G DAC/AOC cables may be a more suitable and cost-effective solution than using 25G transceivers. However, 25G DAC/AOC cables only for short transmission distance. 25G SFP28 DAC cables can transmit less than 5m, and 25G SFP28 AOC cables transmit up to 30m. After choosing the suitable 25G devices, here we can start to build 25G network. When deploying 25G network, ToR/spine-leaf switching architecture is often applied. The spine-leaf architecture includes two layers – the spine layer and the leaf layer. The spine layer is the backbone of the network and the leaf layer interconnects with every spine switch. In this deployment, 25G switches are usually deployed as ToR/leaf switches in the leaf layer or the top of each cabinet. Through point-to-point cabling, these switches can connect directly to the 25G servers in all the cabinets. And you can use 25G DAC/AOC cables or 25G SR transceiver and fiber patch cables to connect the switch ports and 25G servers. In addition, you should insert a 25G NIC in each 25G server. This article presents some basic information about 25G Ethernet, how to build 25G network, and the devices needed for 25G network deployment like 25G SFP28 transceiver, DAC/AOC cable, 25G NIC, and 25G Ethernet switch. If you are considering to build 25 network, reliable suppliers like FS provide all the components mentioned above such as 25G SFP28. For more details, please visit www.fs.com. In response to the expansion of open source networking, FS released N-series switches combining with Cumulus Linux. FS N-series switches, as hot-pluggable I/O devices, allow interconnections between multiple devices by using various transceivers modules. 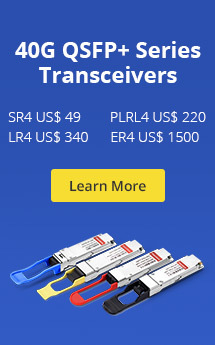 To provide more convenience and good experiences, FS also supplies a wide variety of transceiver modules, which are compatible with these switches for users to meet different deployment requirements. This post will make an introduction of FS N-series switches with Cumulus Linux and FS transceiver modules for these switches. FS N-series switches with Cumulus Linux, including N5850-48S6Q switch, N8000-32Q switch, and N8500-32C switch, allow customers to configure their desirable network switches. They possess Broadcom switching chip, Intel CPU, and other advanced configurations. What’s more, all of these switches enjoy a 5-year hardware warranty. Armed with Cumulus Linux network operating system, FS N-series switches can provide users with more advanced functions such as MLAG, NCLU, EVPN, VxLAN, SNMP, etc. These switches are ideal for the traditional or fully virtualized data center. 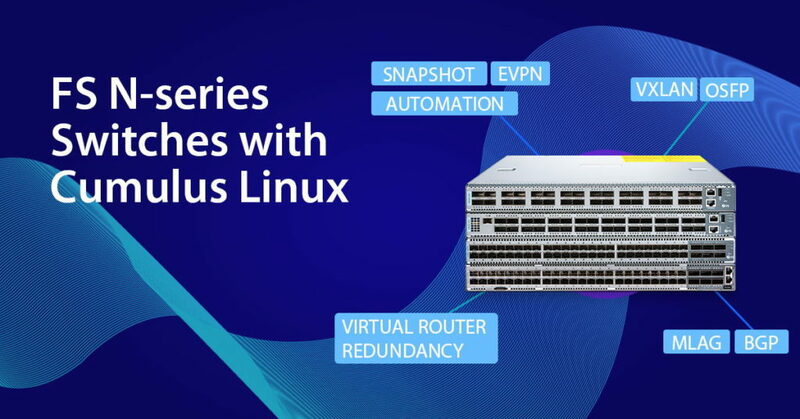 In a word, FS N-series switches with Cumulus Linux help users to deploy fast, high-capacity fabrics, simplified network automation and consistent tools, and help lower operational and capital expenditures. According to your real needs, you can choose different FS N-series switches with Cumulus Linux and suitable transceivers for these switches. The N5850-48S6Q switch is a Top-of-Rack (TOR) or Leaf switch. It delivers excellent low latency and power efficiency in a PHYless design. It also offers high reliability features such as hot-swappable power supplies and fans in forward and reverse airflow configurations. In addition, N5850-48S6Q switch provides 48 SFP+ 10GbE ports and 6 QSFP+ 40GbE ports, and each 40GbE port can be configured as 4x10GbE up to a total system limit of 72 10GbE ports. Therefore, it can use 10G SFP+ and 40G QSFP+ to connect with other network devices. 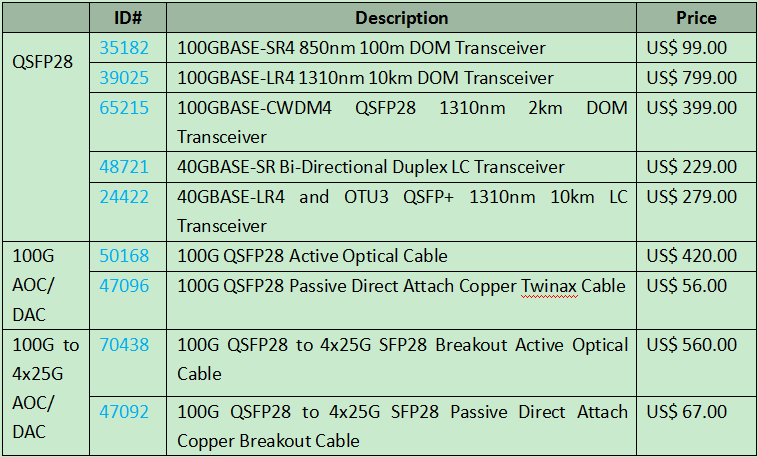 The following table lists FS transceiver modules and Twinax cables supported by N5850-48S6Q switch. The N8000-32Q switch is ideal for data center environments in either Leaf or Spine deployments. It delivers a rich choice of interface speed and density, which can be deployed in a wide range of open networking solutions including layer 2 and layer 3 cloud designs, overlay networks, virtualized or traditional enterprise data center networks. What’s more, N8000-32Q switch provides 32 QSFP+ ports, and each port can be configured as 4x10GbE with individual link LEDs, up to a total system limit of 104 10GbE ports. Here are QSFP+ transceivers and Twinax cables for N8000-32Q switch. Designed for high performance and programmable data center environments, N8500-32C switch offers line-rate, high-bandwidth switching, filtering, and traffic queuing without delaying data. Due to the redundant power and fans along with lots of high availability features, it is usually available for business-sensitive traffic. Moreover, the N8500-32C switch provides 32 ports 100GbE QSFP28 modules. To meet various deployment demands, FS also supplies multiple optical transceivers and Twinax cables compatible with this switch. FS N-series open networking switches with Cumulus Linux offer flexibility, efficiency and cost effectiveness in data center networks. Any requirements for FS N-series open networking switches and the supported transceiver modules, welcome to visit FS.COM.